Troubling news for American Airlines passengers without elite status! The airline just made it harder for coach passengers to get rebooked on a new flight when there’s an issue with your original flight. The new policy no longer allows airport agents to rebook coach passengers on competing airlines during “irregular” operations, like when flights are delayed or canceled for maintenance or weather. Guidelines like this are yet another reason to have a credit card with built-in travel insurance benefits to cover you when your trip is interrupted! 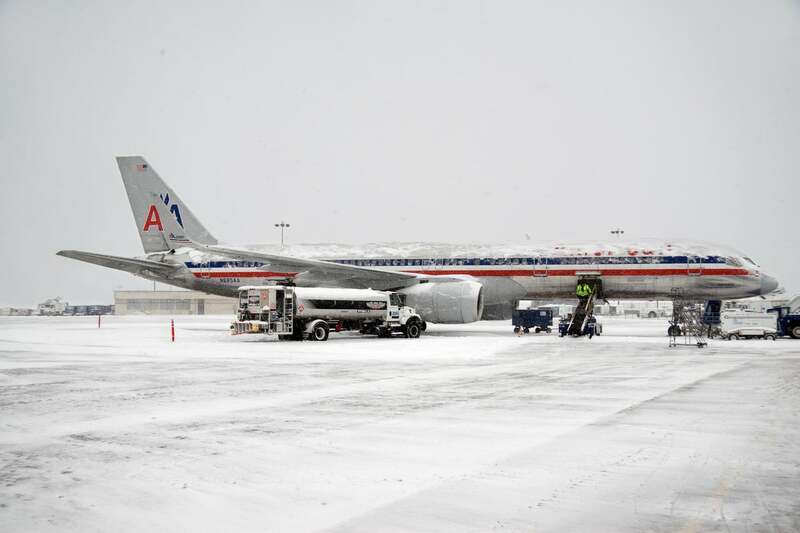 Flight Delayed or Canceled Due to Inclement Weather? If You’re an American Airlines Coach Passenger, It’ll Now Be Harder to Find an Alternate Flight to Your Destination! Agents are still permitted to rebook coach passengers with the airlines’ partners. But this isn’t very useful for domestic flights given that American Airlines’ only larger partner airline in the US is Alaska Airlines. What Does This New Policy Mean for You? If you DO happen to have elite status with American Airlines or are flying in Business or First Class, you won’t have to worry about this new policy as much. American Airlines is still allowing agents to rebook those passengers on other non-partner airlines like United Airlines and Delta. But all in all, the new policy seems pretty ridiculous to me, especially given the fact that most flyers are flying coach. I’d imagine this will only mean angry American Airlines passengers. The 3 largest airlines in the US, United Airlines, Delta, and American Airlines, regularly send customers back and forth between one another at reduced rates. So the cost of running the business this way would only be an issue if one airline sends more customers to the competition than the other sends back. And maybe that’s the issue American Airlines is facing? But I’d be ticked off if my flight was delayed and I knew there was a reasonable rebooking option only to be told they wouldn’t rebook me because I’m a coach passenger! With the announcement of this new policy, American Airlines has come out to assure folks that the rules are “flexible.” For example, an agent is permitted to make an exception if a missed connection requires an overnight stay. Agents can also rebook unaccompanied minors, members of the military on order, and customers “traveling for a funeral, weddings, surgery, [or] starting a cruise” on non-partner airlines. What do you think of this new policy? Do you think the airline has an obligation to rebook you as quickly as possible in the wake of a delay or cancelation? Share you your thoughts in the comments! While you’re here, subscribe to our newsletter so you don’t miss out on other miles & points news and deals! What about supervisors? I had an IRROPS situation a few months ago, agent said nothing she could do. Escalated to supervisor, who (after 1.5 hours of arguing) finally relented and put me on a DL flight. AA is already my last choice airline as it stands because they have the most uncomfortable seats of the three main carriers. This just sealed the deal for me.